Bulimia: What is it Anyway? Bulimia Nervosa, more commonly known as Bulimia, is an eating disorder that involves binge eating. Many, but not all people with bulimia follow a binge with purging by inducing vomiting or taking laxatives. Some people with bulimia use diuretics or engage in excessive exercise in hopes of burning off the calories just consumed. These are also types of purging, or getting rid of something from the body, in this case, fat or pounds. Bulimia is dangerous, even life-threatening. There are two types of bulimia: purging and non-purging. Those with purging bulimia enter a cycle of binging and purging. Those with non-purging bulimia binge but in between binges, try to control their weight through extreme methods like fasting, excessive exercise, or strict diets. 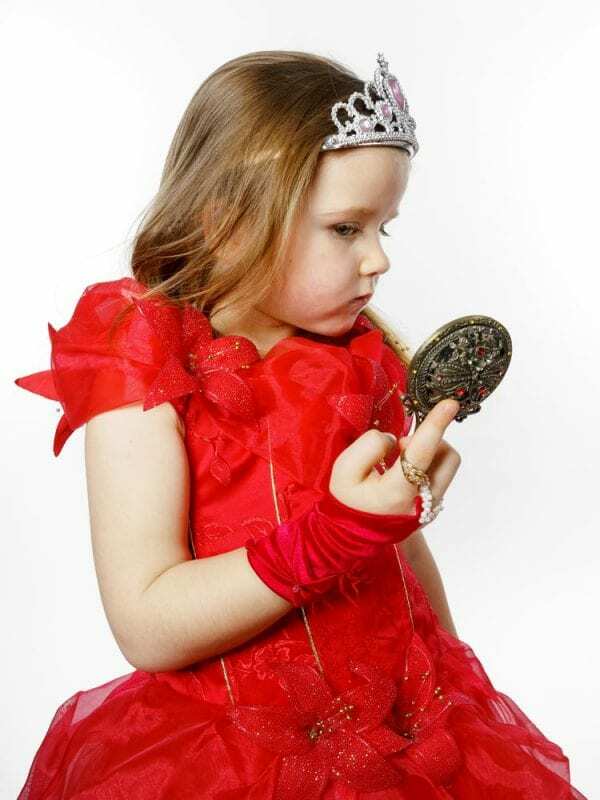 This little girl doesn’t seem to like what she sees in the mirror. Is she at future risk for bulimia? It’s common for those with bulimia to think their bodies look different than they actually appear. A person with bulimia may look in the mirror and see a fat person, even though to others, he or she looks just right. People with bulimia also tend to be down on themselves, seeing all the bad and not so much the good. Someone with bulimia may be at a normal weight or may be too heavy. That makes it difficult to tell from the outside that the person with bulimia has an eating disorder. While both males and females can get bulimia, it’s more common in females. Some fifteen percent of those with bulimia are male. Teens and young adults are most likely to get bulimia as are those in the public eye, for instance, dancers, athletes, models, and actors. No one knows exactly how people end up getting bulimia, but there are things that can increase the risk. People who already have other mental health issues and in particular, those with a distorted view of reality, are at greater risk. Also at risk are those who are strongly affected by peer pressure to fit into social circles or those whose parents expect a great deal from them. For some, it’s about seeing lots of media images of super-thin models and celebrities that tipped the balance and brought on the condition. But all sorts of emotional issues can also make someone vulnerable to bulimia, for instance, having anger management issues, being depressed, always wanting to be perfect, having trouble with controlling impulses, or any sort of past trauma, really. 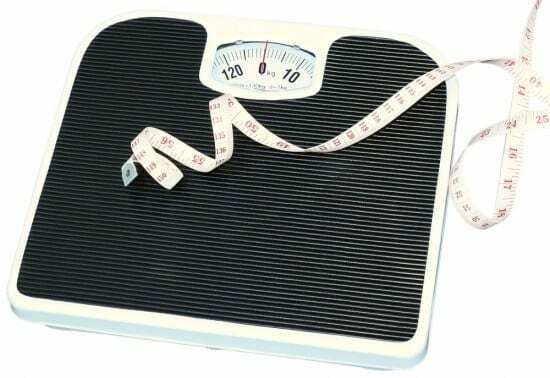 Bulimia may be accompanied by a constant need to weigh and measure. Some studies show that bulimia may be hereditary while other studies say the condition may be caused by not having enough serotonin, a substance that helps different parts of the brain to communicate. Not having enough serotonin in the brain can affect mood. We see a person of normal weight. The person with bulimia may see a blimp. Bulimia can cause dehydration, chemical imbalance in the body, and vitamin deficiencies. Women with bulimia may stop getting their menstrual periods. Cavities and gum disease are common, and bulimia may even cause heart problems and kidney failure. Many people with bulimia have problems with depression and anxiety and may also abuse drugs or alcohol. Diagnosing bulimia means having a physical examination during which the doctor might order blood and other lab tests. A psychologist may need to examine the patient as well, to find out how the person feels about his body and about his weight. In the case where bulimia has gone on for a long time, more testing may need to be done to see if there is damage to the major organs, such as the heart and the kidneys. Some people with bulimia may need to enroll in a day program or live-in treatment program for eating disorders. In these programs, patients have supervised nutritious meals, attend support groups, have therapy sessions, and do exercises to increase awareness of the body. Doctors and other medical staff may be on hand to treat patients for complications from bulimia. Treatment for bulimia is, in part, learning to feel good about what you see in the mirror. If left undiagnosed and untreated, or if treatment doesn’t work, the outlook for bulimia nervosa is grim. The physical complications from bulimia can even be life-threatening. As with most illnesses however, early diagnosis and treatment means a better, more effective outcome. While a person with bulimia may have to fight the urge to binge and purge all her life, it’s possible to develop and maintain a healthy relationship to food and a good self-image, too.